Banks denying their alleged link to the hoarding of funds due to the Federal Government have been asked to direct their denial to the court. 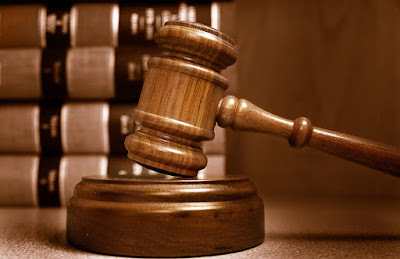 A Federal High Court in Lagos, on Thursday, granted an ex-parte application by the office of the Attorney General of the Federation (AGF) for an order directing the banks to remit the funds to the Federal Government. Justice Chuka Obiozor, who gave the order, warned that it would be made permanent on August 8, unless the banks show cause why the order should not be made permanent. The office of the AGF, through its lawyer, Prof. Yemi Akinseye-George (SAN), accused seven banks of unlawfully withholding $793,200,000 (about N249,659,700,000.00) in breach of the Treasury Single Account (TSA) policy. The banks listed in the court documents filed by the office of the AGF are: United Bank for Africa (UBA), Diamond Bank Plc, Skye Bank Plc, First Bank Limited, Fidelity Bank Plc, Keystone Bank Limited and Sterling Bank Plc. Sterling Bank, Fidelity and UBA have denied wrongdoing. Court documents stated that $367.4 million was hidden by three government agencies in UBA; $41 million was kept in a National Petroleum Investment Management Services (NAPIMS) fixed deposit account with Skye Bank. Also, $277.9 million was found in Diamond Bank, $18.9 million in First Bank, $24.5 million in Fidelity Bank, $17million in Keystone Bank and $46.5 million in Sterling Bank. Since the court’s order was reported in the media on Friday, many of the banks have continued to deny any wrong doing. But, a senior official in the office of the AGF faulted the banks for rushing to the media with their denial. According to the official, since the court has adjourned to August 8 and given the banks up till then to show cause why the order should not be made permanent, their concern should be how to convince the court that they acted legally. The official, who wouldn’t want to be named, said: “Don’t mind them. Let them continue to deny. They should file their processes and we will meet them in court. They appear not to know the extent of evidence we have against them. “There were even some accounts that were dormant, yet millions of U.S. dollars were found in them. Some of the accounts were opened without names. “How do you keep dollars in accounts and yet fail to ascribe names to them? Is that a standard banking practice? I suspect what they are doing is not regular banking. “We are waiting for them to file. They can start filing by Monday. This case will be interesting. This case will lead us to a lot of other things. I don’t want to say more than that. “They should tell us the government officials and agencies that authorised them to breach the government’s TSA policy and why. We are waiting. “Those agencies and officials will have to explain to the court where they got their powers to disregard the government’s TSA policy and encourage banks to hoard government’s funds in coded accounts.